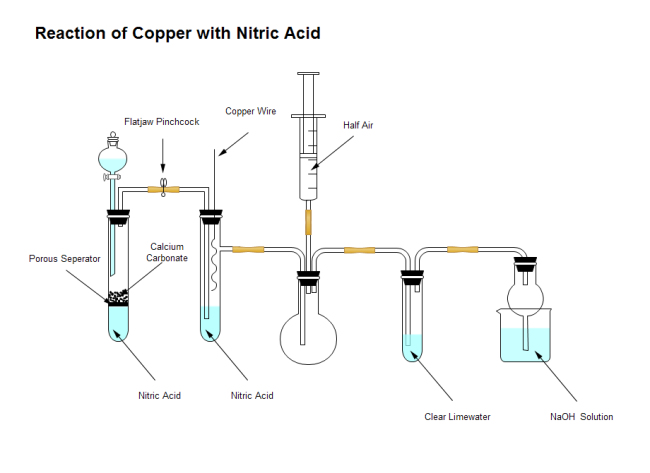 Description: A free customizable reaction of copper with nitric acid template is provided to download and print. Quickly get a head-start when creating your own science illustrations. It can be used to facilitate teacher's work, as in class, illustrations are more straightforword and easy to understand than words.